1.1 How to get Rs.20 Cashback on Rs.50 Recharge? Mobikwik Recharge Offer – Hey Coolzdeals Readers, We Hope all are enjoying Free Recharge Tricks and take benefit of Free Paytm cash. As always we post amazon quiz first on the net with all correct answers. 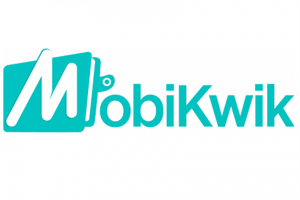 Mobikwik is back with Recharge offer in which they are giving Rs.20 Cashback of Rs.50. So, Recharge now with Mobikwik and get Rs.20 Cashback. Offer valid on 26th Dec 2018: 2pm to 8 pm only. See full details below with step by step Guide. How to get Rs.20 Cashback on Rs.50 Recharge? 1. First of all Download, Mobikwik app. 2. Install and Open App. 3. Log in or Sign Up. 4. Now do a Recharge from Mobikwik App. 5. Enter Mobile Number and Amount. 7. Complete Payment Process with the suitable method. Coupon redemption & Payment should be done only on MobiKwik’s Android, iOS, Windows App, Bajaj Finserv App or Website. MobiKwik & Bajaj Finserv have the right to end or call back any or all of its offer without prior notice.